This is a collection of articles on animal-assisted activities and interventions from Society & Animals. Society & Animals is an academic journal that publishes studies that describe and analyze our experiences of non-human animals from the perspective of various disciplines within both the social sciences and humanities. To get access to the back issues of Society & Animals, please join as a Scholar or Professional Member. Bachi K. (2012). Equine Facilitated Psychotherapy: The Gap between Practice and Knowledge. Society & Animals, (20): 364-380. Berget B, Grepperud S, Aasland O, and Braastad B. (2013). Animal-Assisted Interventions and Psychiatric Disorders: Knowledge and Attitudes among General Practitioners, Psychiatrists, and Psychologists. Society & Animals, (21): 284-293. Grigore, A. A., & Rusu, A. S. (2014). Interaction with a therapy dog enhances the effects of social story method in autistic children. Society & Animals, 22(3), 241-261. Harbolt, T., & Ward, T. H. (2001). Teaming incarcerated youth with shelter dogs for a second chance. Society and Animals, 9(2), 177-182. Haubenhofer D, Kirchengast S. (2007). Dog Handlers’ and Dogs’ Emotional and Cortisol Secretion Responses Associated with Animal-Assisted Therapy Sessions, Society and Animals, 15:2: 127-150. Hemingway, Ann, Meek, R. and Ellis Hill, Caroline. (2015). An Exploration of an Equine-Facilitated Learning Intervention with Young Offenders. Society and Animals, 23: 544-568. Klontz B, Bivens A, Leinart D, Klontz T. (2007). The Effectiveness of Equine-Assisted Experiential Therapy: Results of an Open Clinical Trial. Society & Animals, (15): 257-267. Lefkowitz C., Prout M., Bleiberg, J., Paharia, I., and Debiak, D. (2005). 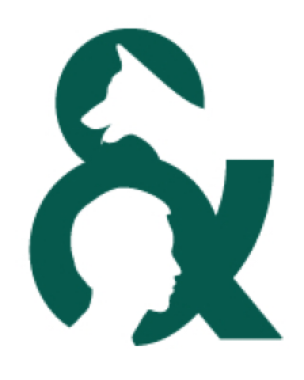 Animal-Assisted Prolonged Exposure: A Treatment for Survivors of Sexual Assault Posttraumatic Stress Disorder, Society & Animals, (13): 275-295. Levinson, E. M., Vogt, M., Barker, W. F., Jalongo, M. R., & Van Zandt, P. (2017). Effects of Reading with Adult Tutor/Therapy Dog Teams on Elementary Students’ Reading Achievement and Attitudes. Society & Animals, 25(1). McArthur, A. D., & Syrnyk, C. (2018). On-Campus Animal-Assisted Therapy Events: Post-Secondary Students’ Reactions and Mood. Society & Animals, 26(6), 616-632. Minton C, Perez P, Miller K. (2015) Voices from Behind Prison Walls: The Impact of Training Service Dogs on Women in Prison, Society & Animals, 23 (5): 484-501. Nelson, A., Signal, T., & Wilson, R. (2016). Equine Assisted Therapy and Learning. Brill. Society & Animals, 24(4). Pluta, M., & Kędzierski, W. (2018). Emotional Responses of Horses to Patients Requiring Therapy. Society & Animals, 26(4), 426-436. Stern S, Donahue D, Allison S, Hatch J, Lancaster C, Benson T, Johnson A, Jeffreys M, Pride D, Moreno C, Peterson A. (2013). Potential Benefits of Canine Companionship for Military Veterans with Posttraumatic Stress Disorder (PTSD), Society & Animals, (21): 568-581. Stewart A and Strickland O. (2013) A Companion Animal in a Work Simulation: The Roles of Task Difficulty and Prior Companion-Animal Guardianship in State Anxiety, Society & Animals, (21): 249-265. Symons, G.L. (2009). Choreographing Identities And Emotions In Organizations: Doing “Huminality” On A Geriatric Ward. Society & Animals,17 (2): 115 –135. Wong, P. W., Rose, W. M., Li, T. M., Lai, S. L., Ng, H. Y., & Fan, W. T. (2017). Efficacy of a Multicomponent Intervention with Animal-Assisted Therapy for Socially Withdrawn Youth in Hong Kong. Society & Animals. Zamir, T. (2006). The Moral Basis of Animal-Assisted Therapy. Society & Animals, 14 (2): 179 –199.